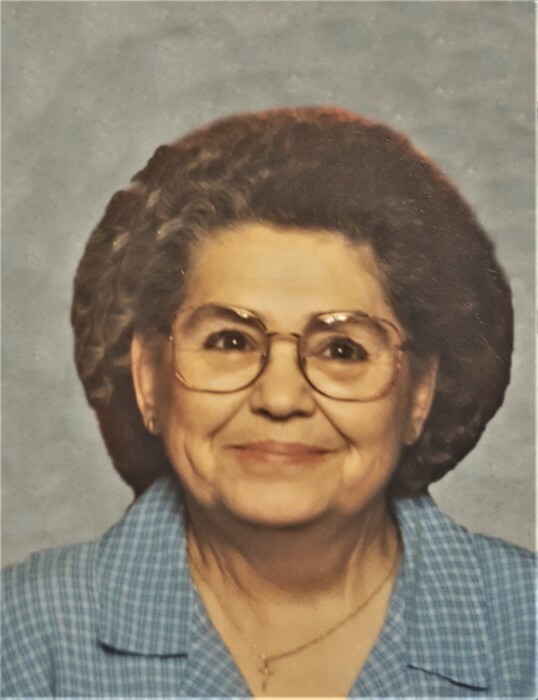 Betty Jean Justus, age 79 of Pennington Gap, VA was born Sunday, December 31, 1939 in Artemus, KY and passed away Friday, April 12, 2019 at the Indian Path Hospital in Kingsport, TN. She was preceded in death by her first son Jimmy Wayne Ramey, youngest son Johnny Ray Ramey, grandchildren Rosetta Dean and Machelle Dean, father John Henry Barnes, mother Amanda Agnes Short and two brothers John W. Barnes and Charles Barnes. Betty is survived by one son Terry M. Ramey, Sr. and wife, Debby of Lynn Garden, TN, three daughters Patricia Dianne Ramey Pleasant of Woodway, VA, Teresa C. Dean of Big Stone Gap, VA and Beverly J. Dean and husband, Jim of Big Stone Gap, VA, grandchildren Edwin Ramey, Bettina Dorr, Kayla Hough, Michael Ramey, Jr., Amanda Jennings, Stephanie Norris, James Dean, eleven great-grandchildren, several great-great-grandchildren, two brothers Don Barnes and wife, Wilma of Barbourville, KY and Jerry Barnes and wife, Karen of Eustis, FL, three sisters Ethel L. Bargo of Barbourville, KY, Shirley Camp and husband, Will of Pikeville, KY, Janice "Gail" Siefert and husband, Jim of Bethel, OH and a host of other extended family and friends. A special thanks to all the medical caregivers and especially Ashley Hill. A memorial gathering will be from 1:00 until 4:00 PM Friday, April 26, 2019 at the Province Funeral Home in Pennington Gap, VA. Memorials and condolences can be made to the family by visiting www.provincefuneralhome.com We are located at 42098 E. Morgan Ave. Pennington Gap, VA 24277 Phone 276-546-2456 Province Funeral Homes are honored to be serving the family of Betty Gean Justus. There's still time to send flowers to the Memorial Gathering at the Province Funeral Home from 1:00 PM to 4:00 PM on April 26, 2019.